Where Am I? And What Time Is It? So let’s try a thought experiment — one that I’ve been thinking a lot about for the past two years as I’ve researched and written a new book The Knowledge: How to Rebuild our World from Scratch. How much would you know how to achieve for yourself if the life-support system of modern civilization were suddenly stripped away? 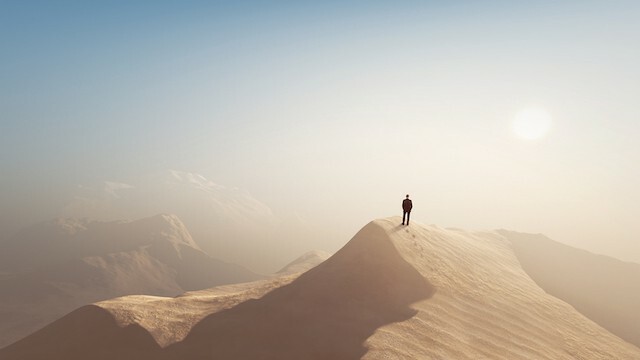 The hypothetical scenario I consider is surviving the apocalypse and needing to rebuild civilization from scratch, but you could just as easily ask yourself what you’d do if you fell through a time-warp to 10,000 BC, or awoke from a cryogenic stasis pod disorientated and alone in the indeterminate future, or even simply washed up on a deserted island. Let’s look at just a few aspects here. If you’re forced back to the absolute basics, how could you use simple observations to tell the time, reconstruct the calendar and work out your location anywhere on planet Earth? Whilst the phrasing of the start-point for this thought experiment may seem frivolous, the fundamental capability for tracking your place in both time and space certainly is not. Being able to tell the time enables a society to regulate and synchronize its civic activities — marketplace trade or congregation (perhaps for religious purposes) are all choreographed to the beat of the hour. The reason the calendar was devised in the first place was to ensure successful agricultural practices, and thus sufficient food for the population, and accurate navigation is crucial to prevent getting yourself lost in the wilderness. If you really are knocked back to the very basics, such as shipwrecked on a deserted island, you can track the passage of time by the swiveling of shadows. 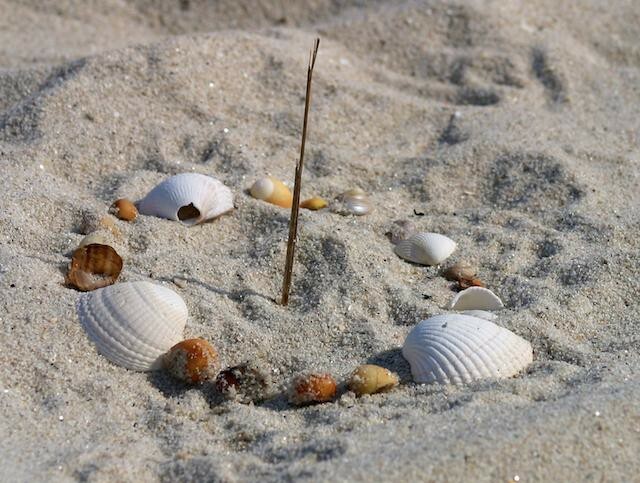 Plant a straight twig into the sand, and the rotation of the shadow around its base will express the progress of the day. Note the position of the shadow at sunrise and sunset with notches in the sand and you’ll have a visual way of assessing the amount of daylight remaining during the following day. The moment when the shadow is shortest (and points due north) is the time of local noon — should you have a functioning watch you can set it to this time. This is of course the essence of the sun dial, and you can maximize the accuracy by angling the gnomon (the shadow-casting stick) towards the celestial pole (that’s Polaris, see below) and, rather than projecting the shadow onto the flat ground, carve a semi-circular arc around the gnomon, as this reflects the domed geometry of the heavens. If you watch your sundial over many days, you’ll notice that the length of its noon-time shadow varies as the sun arcs higher and lower through the sky: the basis of the seasons. 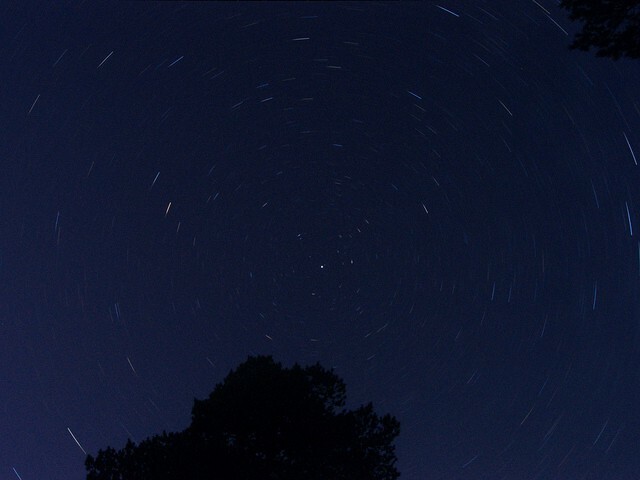 But the passage of the seasons is actually far easier to track if you stay up late and watch the nighttime heavens. 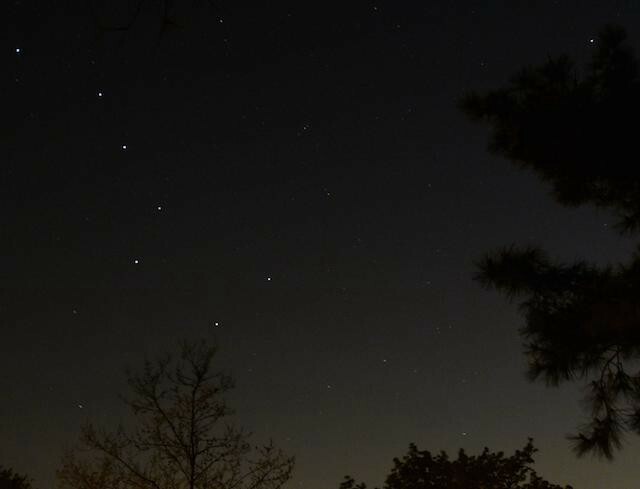 Many stars are only visible during certain parts of the year from your location, and individual stars first become visible and then disappear again at particular days of the year. If you count the number of days between these stellar events you’ll determine for yourself that there are 365 days in the year. A sundial can be constructed from any materials at hand. Photo by Chris Hawes. 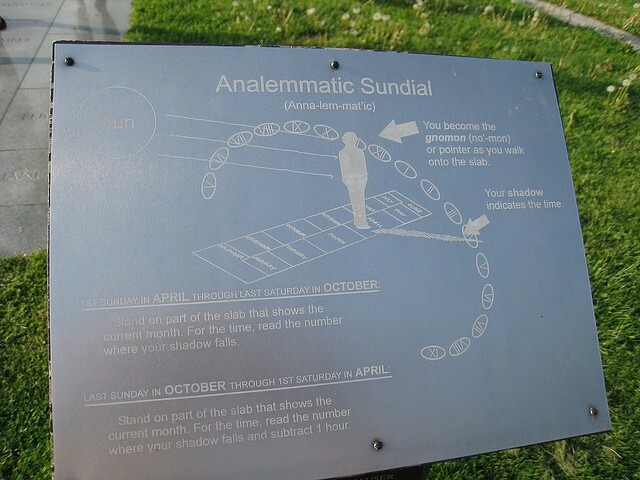 Instructions for an analemmatic sundial, using a human gnomon. Photo Erica Cherup. But how do you reconstruct the calendar from this? There are four evenly spaced temporal landmarks in the year that mark the transition of the seasons. Only on two days of the year are the hours marked out by your sun dial (solar hours) all equal in length: the equinoxes (meaning literally “equal night,” because day and night are both 12 hours long), and it is this standard equinoctal hour that mechanical clocks count in. You can tell the morning of either equinox, from anywhere in the world, because on these two days the sun rises due east. If you have no compass, east itself can be determined from picking out the celestial pole. The winter and summer solstices denote, respectively, the shortest and longest days of the year, as the sun takes its lowest and highest trajectory through the sky. Autumnal and vernal equinoxes fall around the 22nd of September and the 20th of March, respectively (for the north), the solstices near the 21st of December and the 21st of June. If you wanted to, you could peg the standard ‘Gregorian’ calendar back on to these special days of the year. So even if you find yourself with initially no idea of the day of the year, you can make some very simple observations of the celestial clockwork to determine the date and reconstruct our calendar. Solving the second half of our problem — finding out where on Earth you are — also relies on some basic astronomical observations and the notion of time. The address system for uniquely describing locations on the surface of the globe works with two coordinates: latitude and longitude. Your latitude is how far around the ball of the Earth you are from the equator, in terms of an angle from the planet’s centre. So the equator has a latitude of 0°, the north pole is at 90°, and the latitude of New York City, for example, is 40° N — pretty much level with Madrid, Spain. The other half of the global positioning system is your longitude — how far around the world you are in an east or west direction. Unlike the equator serving as the 0° mark for latitude, there is no natural baseline for longitude. Today, we use Greenwich, London, as the prime meridian purely out of historical convention. Again specified using an angular distance, NYC is 74° west of Greenwich. Finding your current latitude is actually pretty easy — the densely patterned night sky provides ample information. The star Polaris happens to hang directly above the Earth’s north pole, so, thinking about the simple geometry, your angular distance from the equator (latitude) is the same as the angle between this celestial pole and the horizon. You can build a simple instrument to measure the elevation of any object in the sky with just a quarter-circle of thin wood, marked with regular ticks around the outside to show angles, and a plumb line dangling alongside to reveal elevation on this scale. The sextant is a more sophisticated and accurate bit of kit for navigation, using a mini-telescope and half-silvered mirrors, but operates on exactly the same principle. One way to find Polaris is to extend a straight line from the two stars that make up the “outside” of the dipper in the Big Dipper. Photo by bk. Unfortunately, finding the crucial second coordinate is not nearly so straightforward. It’s hard to use the heavens for finding how far east of the prime meridian you are. The rotation of the Earth is constantly rolling you round in that direction. It’s this very rotation that causes the cycle of night and day, and it’s how a sundial shows the passage of time. And so the key to specifying your longitude lies in knowing the time-difference between your current position and that at the designated baseline. You can us a sextant to measure your local time from the height of the sun, but the problem of longitude lies in how you can tell the time at the same instant at the prime meridian, hundreds, if not thousands, of miles away. This was historically solved by the invention of clocks accurate enough, despite the temperature swings and rolling and pitching of sea travel, to reliably store Greenwich Mean Time for comparison throughout a voyage. So in our hypothetical scenario, finding yourself on a deserted island, if your watch is still running, you can compare it against local noon to work out how far east or west you are of your home timezone. Or perhaps you might be able to salvage or even build a rudimentary radio to tune-in to stations that mention both their broadcast location and time. Knowing both your latitude and longitude will now allow you to pinpoint your location on the planet. The glaring urban illumination and light pollution of modern civilization has denied many of us our formerly close relationship with the patterns of the heavens. But if you ever needed to, you could become reacquainted with the configuration of the sky in order to reclaim your connection with the rhythms of the planet to work out from first principles not only what the time is, but what the date is too — and then reconstruct the calendar, and even determine where in the world you are. These aren’t arcane astronomical details. Maintaining an accurate fix on your own location on the planet is the very essence of navigation: it ensures you don’t lose your way in the vast expanse of the world’s oceans during long-distance maritime trade or exploration. This fundamental knowledge also allows you to track your passage through the seasons, so that you may keep from starving to death when the winter or dry season draws in. 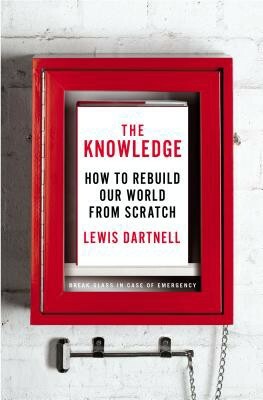 Dr. Lewis Dartnell is a research fellow at the University of Leicester and the author of The Knowledge: How to Rebuild our World from Scratch, out April 17th from Penguin Press. Explore the-knowledge.org for extended material including videos, and follow on Twitter @KnowledgeCiv. Photo from pinkypills via Shutterstock.